Another Video going up! 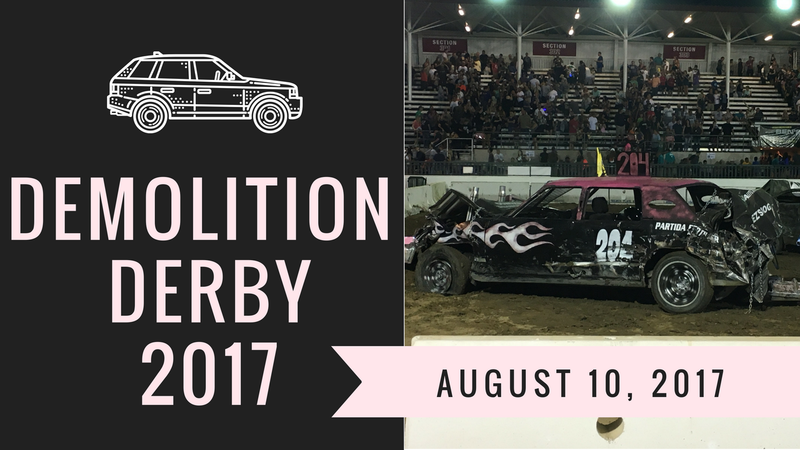 This one is about the Demolition Derby at the Orange County Fair, 2017. My Mom, her husband, Jimmy, and I went to the fair on August 10th, 2017 and saw the Orange Smash Derby. There was 9 Men and 1 Women. The goal is to smash your car with other cars till there is only one car left standing. My video is very long, it is 26 minutes from the start of the race till the end. In my detail summary of my video I wrote were the highlighted parts were. I apologize for my shakiness, I was filming this video with my hands while watching the derby. So I was jumping and screaming of course. The video is on my youtube channel and I highly recommend people check it out and give feedback. But if you don’t the highlights are…. the female wins! She was a 21 year old kindergarten teacher and she won!! Also in my video one of the cars catches fire. Something that does not happen a lot in the derby. Thanks for reading and watching. I will be posting videos weekly.